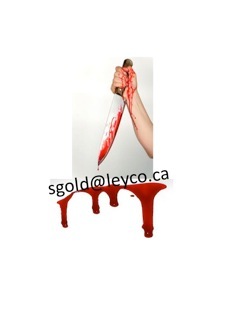 Last week I killed my old email address, after 16 years of faithful service. It was diseased with SPAM. No email filters, no rules, nothing could stem the tide of unsolicited messages interrupting my days, every five minutes. On my home computer it wasn’t so problematic. Besides the 100 or so messages I screened out each day, the junk mail folder would silently fill to three hundred in a couple days. I might glance through it to ensure a real message hadn’t been misidentified or I might simply “select all” and delete. But when I travelled email was a royal pain. The same junk mail filters don’t apply to webmail. I had to physically remove each and every message. A click or two is no big deal until multiplied by 300! The really tricky part is if you have to pay for every bit of data. When I have no access to internet I use my iPhone as a hotspot. It’s wonderful technology but make no mistake: I pay! (Telecommunication companies have us in their death grip. We rely on our devices for business and pleasure. Our provider choices are limited and they seem to be in cahoots, offering little that’s different from each other. But that rant will wait for another day). Every minute I spend trashing my emails costs me money. Wasting money irks me. I was compelled to take action on my email situation. My email address had to die. It was a perfect time to better organize my email life. I subscribe to many online newsletters, groups and services, mostly nice to know but not crucial. I decided to send the non-urgent to my new g-mail address, accessible from anywhere, but not in my face on my computer. My main email is for my friends, family and acquaintances and my favourite newsletters. Anyone can always contact me through my websites so any worry about losing touch has dissipated. But here’s something weird: I somehow miss all that spam. Not that I ever read or responded to any of it, but the recurring appearance of red numbers indicating the messages waiting in my inbox was part of my daily routine. I was always on a mission to get my inbox free of the unnecessary, which, now that I reflect on it, likely contributed to my tendency to procrastinate: a distraction, a diversion, a non-task to take focus from my real tasks. It just occurred to me: I’m no more advanced than Pavlov’s dog, responding to the bell of my inbox! As stupid as it sounds, now that SPAM is gone, I have a sense of loss. Is it that I’m suddenly not nearly as popular as I thought I was? Or maybe it’s because clearing my inbox was woven into the fabric of my life. The human brain is astounding. We often miss the terrible, even the annoying. I suppose that explains how victims of abuse can be so conflicted about their aggressors (love/hate) and actually miss them when they’re apart. Stockholm Syndrome is another example. Now what to do with all that found time? That’s no problem. I constantly bemoan my limited time, no doubt, inextricably linked to my overly ambitious to-do list. I have a new project overview pasted to my office wall which I expect will help me focus on necessary tasks. I think of it as a junk filter for my tasks list. I have one less excuse for not working towards completing my projects. Wait! There are two new messages in my inbox! Later!